In Europe, diesel engines have long been the standard for automobiles. Embracing the engines allowed European nations to highlight their manufacturing capacity and support an industry that contributed significantly to their national economies. Such efforts were particularly notable for France, home to not only such famous brands as Renault and Citroen but also to the Paris Motor Show, an every-other-year event that draws a massive international crowd. The most recent Paris Motor Show was a little different though. In particular, far fewer diesel engines were on display. 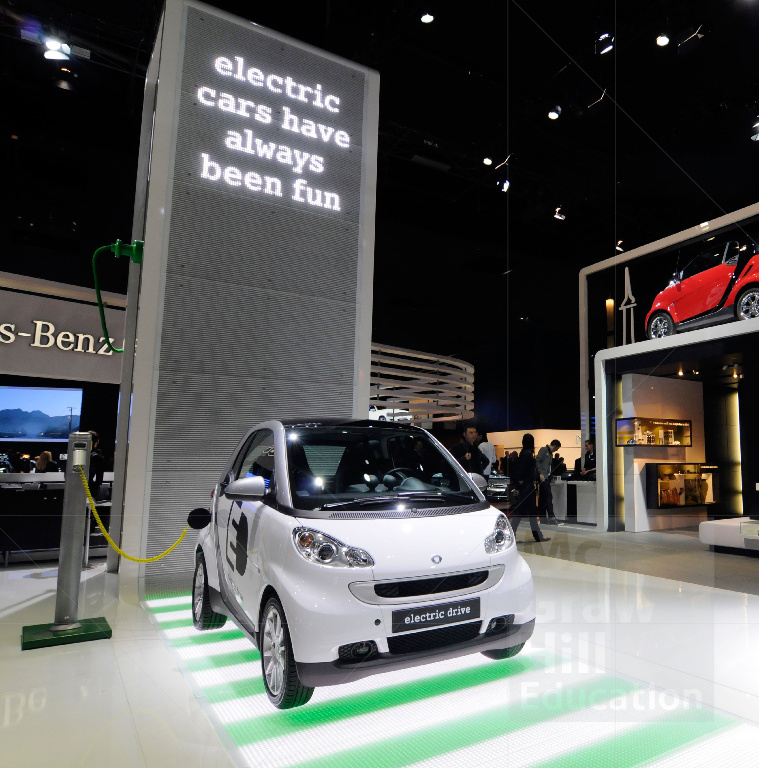 In their place, carmakers touted their electric and hybrid models. What led to the radical change? There are several notable influences. First, it constitutes a response to recent emissions scandals, in which Volkswagen was found to have inserted technology into its diesel engines that fraudulently made it seem as if the engines issued lower emissions than they actually did. Faced with consumer skepticism, as well as growing recognition that diesel is not as clean as it might have seemed, carmakers simply are avoiding mentioning the term or their use of these engines. Second, environmental conditions make it impossible to ignore the need for cleaner fuels. In Paris in particular, the air quality is so poor that regulations ban older cars (manufactured before 1997), with their inefficient motors, from driving on city streets during daytime hours (8:00 a.m.–8:00 p.m.). Faced with such realities, and the resulting customer demand for alternatives, including electric and hybrid options, car manufacturers are moving their own practices and production lines more toward environmentally friendly vehicles. Third, even if some automobile companies might prefer to keep producing their best selling diesel engines, they simply cannot ignore the advantages that their international competitors might be achieving by innovating the ways they power their cars. Across the world, companies such as Mercedes-Benz, Mitsubishi, General Motors, Toyota, and Infiniti are expanding the range of electric automobiles available, from sport utility vehicles to luxury cars. What factors in the marketing environment have led to the shift in focus at the Paris Motor Show, from diesel to alternative types of fuel? How should carmakers respond to these factors? Source: Jerry Garrett, “In a Switch for Paris Show, Automakers Turn from Diesel,” The New York Times, September 22, 2016.